First off, let’s explain what a camping safari is. You stay at a camp, either as part of a group or on your own. You stay in tents, closer to nature, and explore the wilderness from up close. As mentioned, you are right up there in the midst of wildlife. This means you don’t have to travel far to enjoy the safari. You can get started on your expedition as soon as you wake up. Camping safaris offer a cozier and more intimate environment. It adds to the fun you have on the safari and you can make new friends if you travel as part of a group. Being closer to the animals’ means you get to hear the sounds they make in the dead of the night and might even see a few creatures around the campsite during the daytime. Camping safaris cost less as you are expected to share the duties with the other campers on your trip. This can be a great option if you want to enjoy a safari on a budget. This also means you can head out on a safari once a year. As mentioned, you will have to help out around the camp, which means extra strain in addition to the walking and exploring you do. The jungles of East Africa are rife with insects and bugs of all shapes and sizes, some of which carry disease and infection. You are at risk of falling ill, especially if you aren’t properly vaccinated. It can get cold at night, though modern camping gear effectively takes care of that. 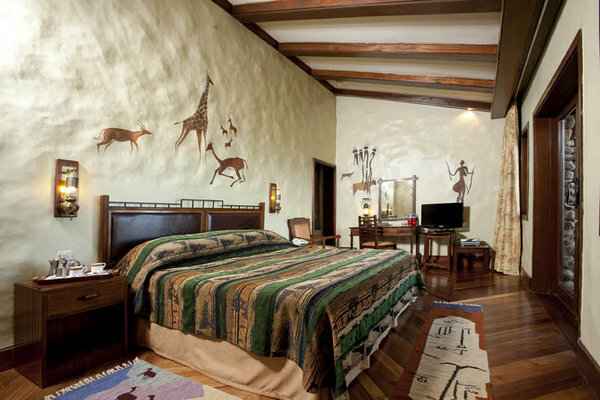 Lodge safaris provide a luxurious experience. You reside in a fully-equipped space with all the amenities you could need on the trip. You hardly have to move a muscle when you aren’t out exploring the wilderness. Your meals, laundry, and other tasks are taken care of. You have guides and other experts guiding you on your trip so there is little, if any risk. The sleeping space is particularly comfortable, even if you are out camping. On a lodge safari, even the tents come with portable cots, so you don’t have to sleep on the ground in a sleeping bag. Lodge safaris are considerably expensive as compared to camping safaris. You will have to save up big time before you can make a trip. You get your privacy but it can get lonely if you are on your own on a safari. You won’t be able to have as much fun as you would if you were with your friends or even a group of strangers sharing the same experience as you. At the end of the day, it is your decision. Keep your comfort and convenience in mind and at the same time, find an option which suits your budget, and you are good to go! Rest assured, regardless of whether you pitch a tent and sleep inside or stay at a lodging facility, you will enjoy the safari.